1-1/4 in. 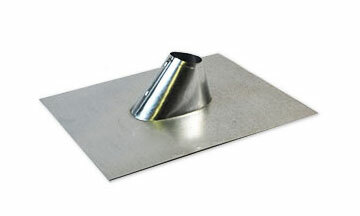 Galvanized Roof Pipe Flashing (Ip Jack), 11x13 Base for Shingle Roofs. Fits Flat to 5/12 Pitch. Price/Each. (Shipping Lead Time 1-3 Business Days). Available in aluminum. Other sizes available to fit pipes 1/2 to 6" pipes, and ventilation pipes up to 20".